Destruction of marshes and native grasslands, coupled with intensive agricultural practices, resulted in the species' decline. During the 20th century, population sizes were thought to have decreased in British Columbia, Alberta, Saskatchewan, Manitoba, Ontario and Quebec. However, they remained stable in Newfoundland, Labrador and the Maritimes. 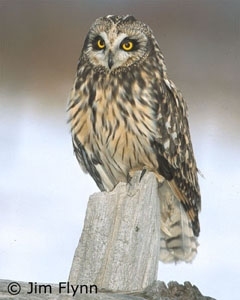 The owl now occurs in small numbers throughout its Canadian range. Exact numbers are not known. There is not enough information to map the distribution in NS. For more specific location information please contact us.